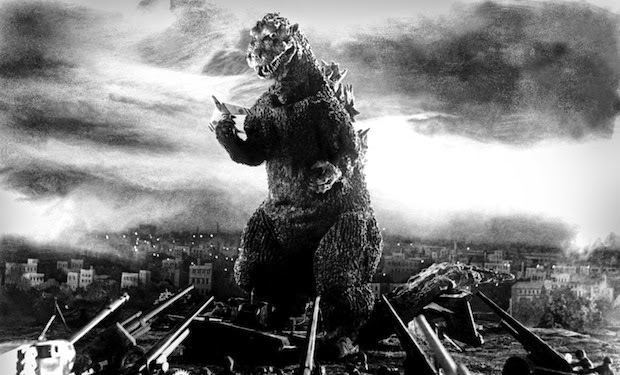 The original Godzilla was a social commentary on the horrors of nuclear war. Even after it was released in America with additional footage provided by Raymond Burr as Godzilla, King of the Monsters!, it was clear that things would never be the same. Godzilla had left his proverbial foot print on the world. 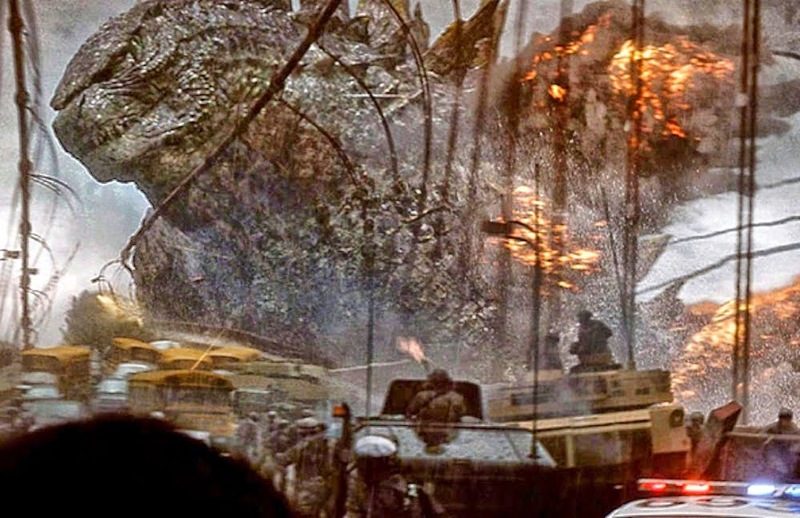 Gareth Edwards vision is a combination of the original, and the last Toho film Godzilla: Final Wars. It asks the question is man so arrogant in his knowledge of nature that he feels in control. It also makes Godzilla the anti hero force of Nature that brings balance to the world. 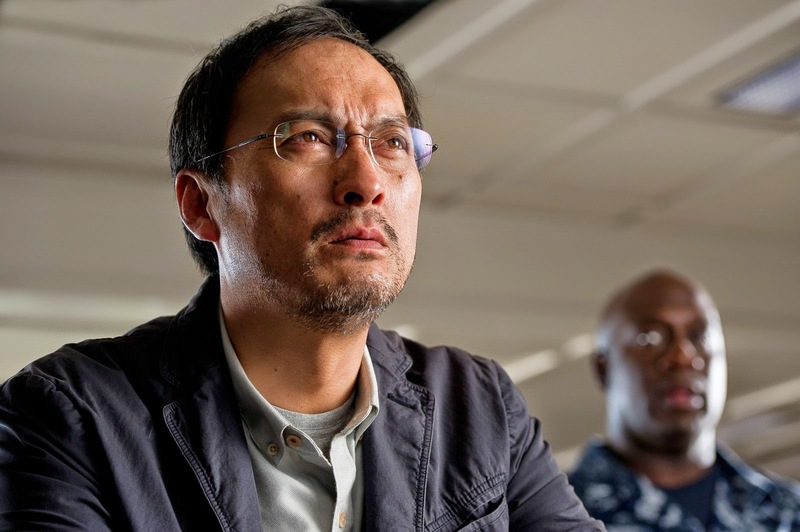 This is the first Godzilla film to bring some star power to the franchise. I have read some reviews that have place a dim light on the human aspect of the film. To them I say what is the point of a film that we as an audience can not relate to. Granted this is a giant lizard movie, but without human emotions it would become a movie based on the rockem sockem game with monsters instead of robots. I was most excited to see Bryan Cranston. He did not disappoint. Without giving too much away his character Joe Brody plays a pivotal emotional part of the film. He loses his wife at a nuclear plant in Japan that drives him to the point of becoming obsessed with the disaster. It is his research that helps drive the others in the right direction. He is spot on in his performance as someone in mourning and angst, determined to find the truth. Ken plays Dr. Serizawa. His name is a nod at the Dr. Serizawa that creates the oxygen destroyer that kills Godzilla in the original movie. He doesn't have a lot of lines, but when he does speak it is serious and profound. I chose the picture above to show that his acting in not in his dialogue alone. 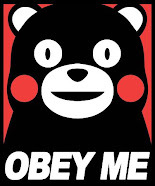 His character is the connection to the Japanese point of view. He is sensitive to the way that nature flows. I have only seen Johnson's work in the Kick A** movies. So I really had no basis for comparison as far as his acting skills. He does have powerful eyes that he uses much like Elijah Wood in the LOTR movies. His character Ford Brody is the son of Joe Brody. Fifteen years after the loss of his mother he is married with a son and is a Naval lieutenant. 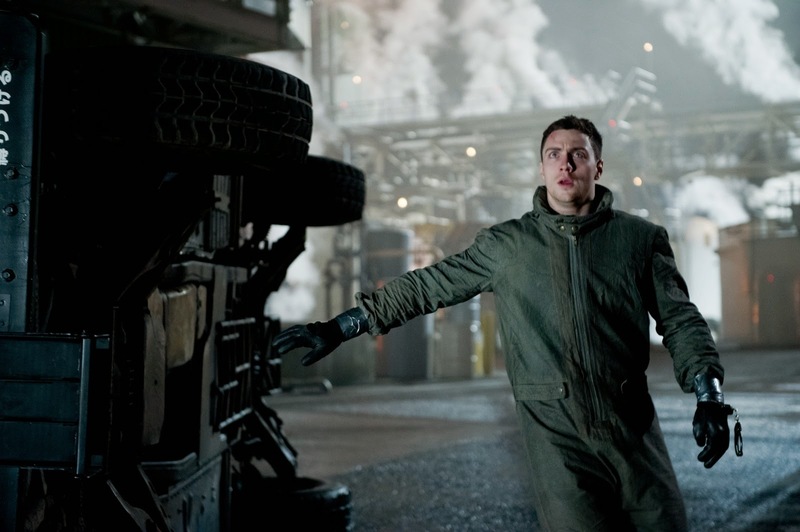 In the last quarter of the movie his character parallels that of Godzilla, as they both fight to save the city of San Francisco from the MUTOS. Often even finding themselves face to face during the action. One thing that the Godzilla film in 1998 got wrong, one of many, was the way that it was filmed. It was not treated as a monster movie. Gareth Edwards Godzilla teases you with the creatures. A foot here, a wing there a shadow in the background. By the time you get the full picture you are prepared for the showdown. The Monster Mash that you actually go to a Godzilla movie to see is nothing less than spectacular. If you are a fan of the Godzilla films that have him be the protector of the earth then you will not be disappointed. He is a force of nature that has one purpose, to bring balance to the world. If lets say a Golden Gate Bridge gets in the way, it is just a nuisance to him. Not to mention the tanks, ships and planes. One thing for sure about Godzilla he is never going down! One Easter Egg I found If you go see the film: Look at the name on the fish tank (labeled with tape and a sharpie) in the Brody house. One hint it didn't contain fish! 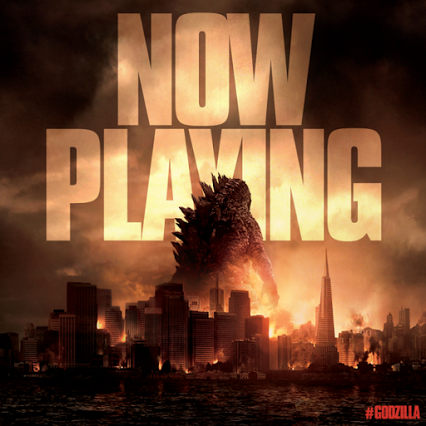 Have you seen Godzilla yet? Are you planning to see it? Crap, missed the name on the fish tank! I enjoyed it as well. Not a perfect film, but the ten-year-old boy in me was giddy with excitement to see Godzilla. After seeing Edwards' Monsters, I knew the film would have its own, unique tone, and not skimp on the human element. Definitely enjoyed it! glad to hear you are satisfied, I know how much love you have for Godzzie! It will be interesting following the boxoffice situation this weekend. I will have to wait until Monday to see it. Sigh. Having to work to pay the rent is a real bummer! I'm glad you enjoyed it. I haven't seen the fish tank anywhere on the web yet, it was a quick surprise. I've read mixed results, but it might go to second place against X-Men next weekend. I got my tickets two weeks ago when I had money. Working for a State University I get paid once at the beginning of the month so I understand having to budget. I hope you enjoy it when you see it. It couldn't have been worse than that 1998 abomination. I'll have to see it at some point. I rather enjoyed it. Like Alex said my ten year old self was super stoked! It puts that one to shame. 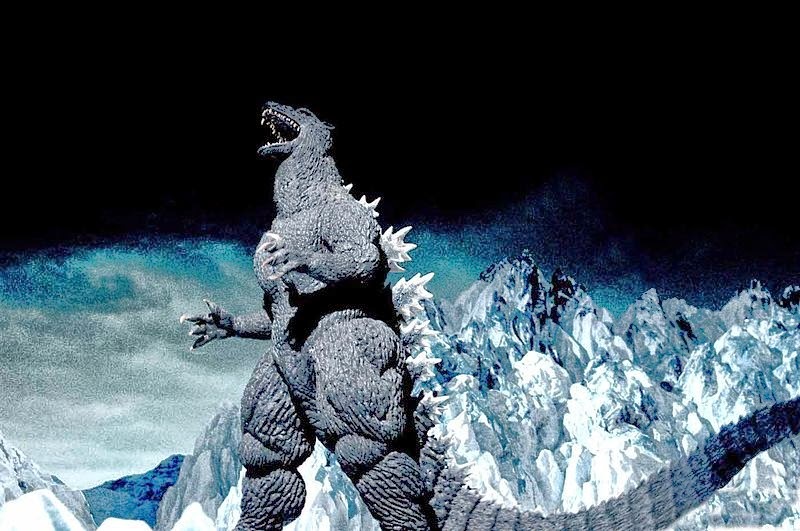 In the last Toho film Godzilla: Final Wars, Godzilla fights the 1998 Godzilla they call Zilla. Needless to say Zilla is annihilated quickly. Funny, hubby just asked our son if he wanted to go next weekend. 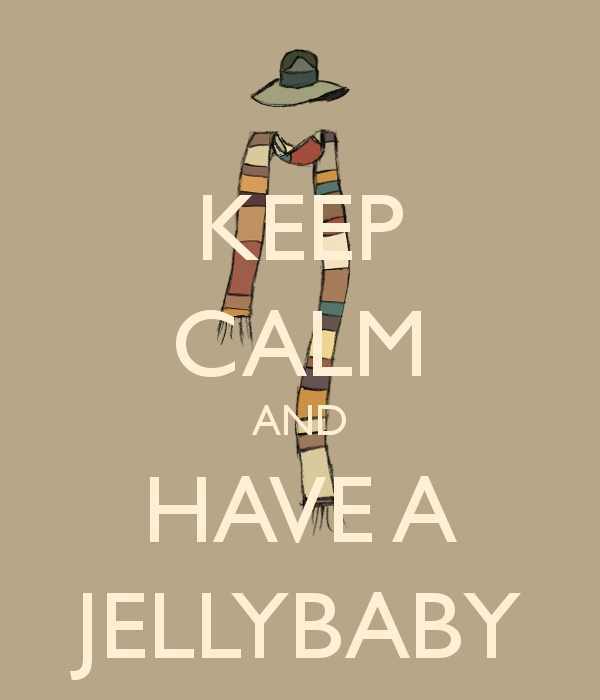 The answer: Yes!! I'm glad the acting was good. Maybe I'll go with them. I didn't mention Elizabeth Olsen who plays the wife of Aaron Taylor-Johnson. She did a great job, but I felt she was under used. You definitely feel for her as she is fearful of her husband and son, and herself. I haven't seen it yet because I'm a little scared haha. But I have a member card to my theatre and can go as often as I like, so I probably won't let this film pass by. I read some good reviews on it so I think I'll go see it anyway! Hmmm, Definitely more interested than I was. Great review. It has some tense moments, but for the most part it is just fun. Thanks I could have rambled on for quite a while longer, but my wife told me to go to bed! I find it hard not to spoil it for others when I do a review. Great spoiler free review. I really enjoyed it, but it could have been better...like most films. But "A "for effort to Gareth Edwards. Job well done. You are the master of spoiler free reviews David. 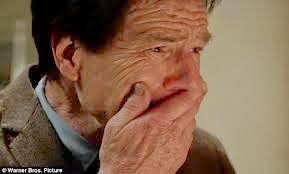 Cranston's part was heartbreaking. My review is coming Friday! Thanks Maurice! It is hard to stay spoiler free when you are passionate about the thing you are reviewing and want to share it. I heard a lot about this movie. Something I am intersted in seeing. I feel that if you are a Godzilla Fan, like myself, or just a movie connoisseur it is an enjoyable film. Ha! But the Lizard IS the best part!